It was a sight I had feared I may never see again. A cadre of youngsters sitting on short, colorful stools, on old fashioned Captain’s chairs or, even, on the carpeted floors absorbed in books. Real, bound, paper and ink books. This scene was repeated on two trips to the recently opened An Unlikely Story Bookstore and Cafe in Plainville, Massachusetts. Now, granted, An Unlikely Story Bookstore and Cafe has a cache which is impossible for other independent bookstores to duplicate. Its owner is megastar children’s book author Jeff Kinney creator of the immensely popular Wimpy Kid franchise. Kinney, to his undying credit, has poured a sizable amount of his earnings into creating this wonderful new haven for book lovers of all ages. In that sense An Unlikely Story Bookstore is an outlier, but the really great news is that the long predicted demise of independent booksellers may be averted. Or, to paraphrase Mark Twain, the reports of their demise has been greatly exaggerated. Entrepreneurs are slowly reversing the trend of decreasing independent bookstore locations which was caused by the triple whammy of e-reader sales, Amazon and the Great Recession which started in 2007. The American Book Association reports that since 2009 the number of independent stores has increased by 27%. This good news is somewhat tempered by that fact that while the numerical increase brings the number of locations up from 1,651 to 1,971, this still pales compared to the nearly 4,000 independent stores in operation during the 1990’s. This past carnage means most everyone has a sad tale of favorite bookstores now forever gone. My wife and I spend part of our summers in Falmouth on Cape Cod and we’ve watched two out of three stores fold. Still, the national trend is up and there are good stories to tell in our local area as well. Barrington Books, long a staple in their hometown with their wonderful mix of books and gifts, is opening a new 5,000 square foot store, called Barrington Books Retold, this coming Fall at Garden City in Cranston. Island Books, conveniently located for beach goers at Wyatt Square in Middletown, opened a branch store on eclectic Spring Street in Newport a couple of years ago. One street up from the bustle of Thames Street it is a quiet oasis where you can find those vacation reads. 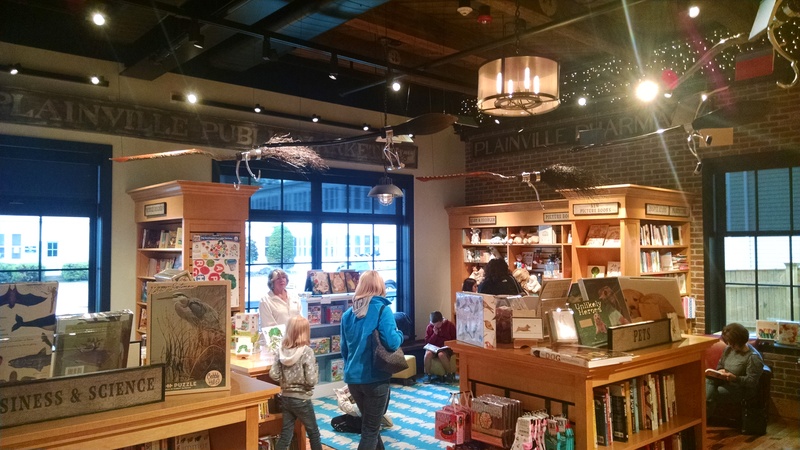 Down in Mystic, Connecticut the popular Bank Square Bookstore heralded in the independents rebound by almost doubling their square footage two years ago. Building on this momentum they will be opening a 2,500 square foot bookstore and cafe this Fall in Westerly located in the former Savoy Hotel on Canal Street. It will be called, aptly, The Savoy Bookshop and Cafe. Some independents rose like the Phoenix from the ashes of other failed enterprises. Wakefield Books, open since 2011, took over the space previously inhabited by the ill-fated Walden chain. Owner/Manager Bob Ryan, who worked for Walden, has succeeded by providing the personal touches not seen at big box stores and by crafting his selections to the taste of his clientele. Ryan says that sales have incrementally increased each year and claims that former e-reader users are returning back to printed pages. According to Ryan membership in the New England Independent Booksellers Association has also shown increases in the past two years. This new increased activity combined with some surviving Providence icons such as the Brown Bookstore and Books On The Square, where I recently attended a standing room only reading from the Providence Noir book headed by local author Ann Hood, offer wonderful choices for Rhode Islanders to put down their electronic devices and enjoy the slow pleasure of the turned page. While book appraisers consider the small triangular dog ears of a used book to be value killers I cherish them as benchmarks of a journey to the places only literature can take us. Let us celebrate the unlikely, but happy, turn around in this one very important part of daily life.